1. 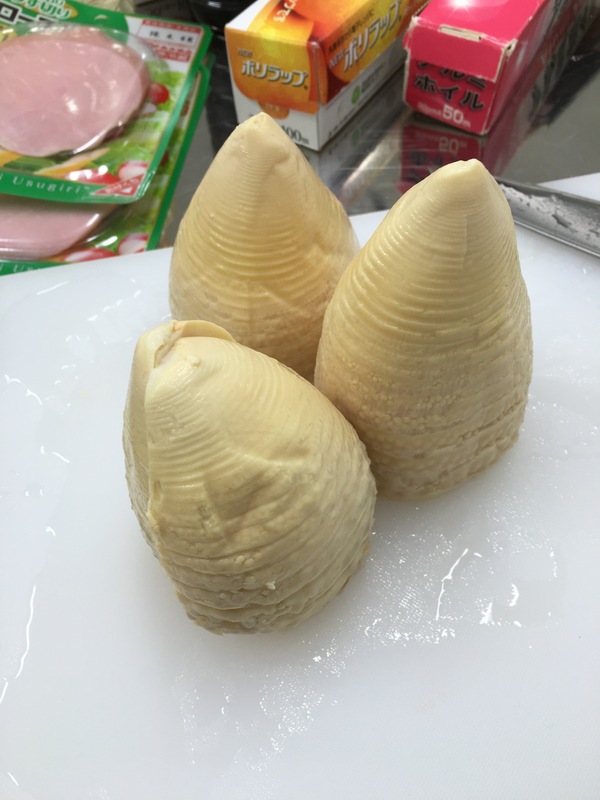 Rinse the boiled bamboo shoot in water and cut it into easy-to-eat rectangular pieces. 2. Place a frying pan on medium heat. 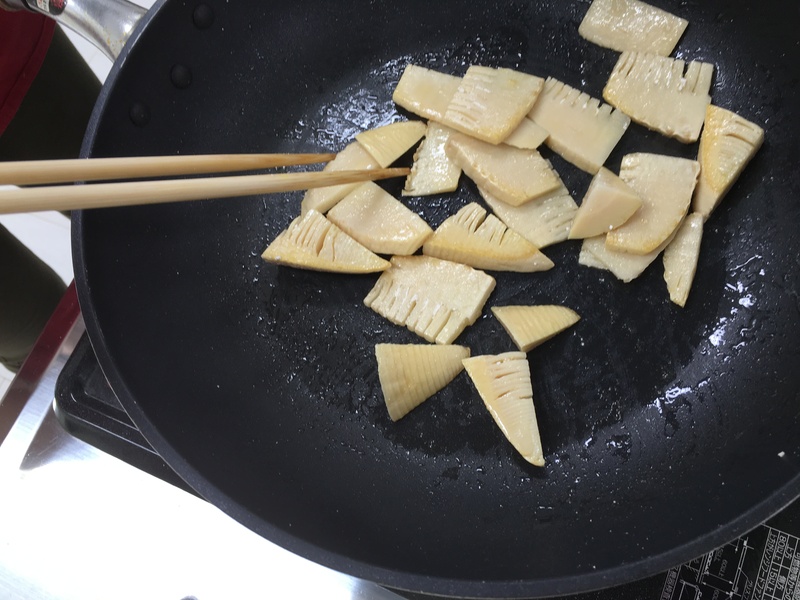 Add the sesame oil and begin cooking the bamboo shoots. Add the soy sauce, sake, and cane sugar and continue cooking to let the bamboo shoot slices absorb these flavors. 3. Finally add the katsuobushi and use a few quick stirs to distribute it evenly.